Apart from serving as an essential element in Asian diets, rice has long been used by Asian women in their beauty regimens. 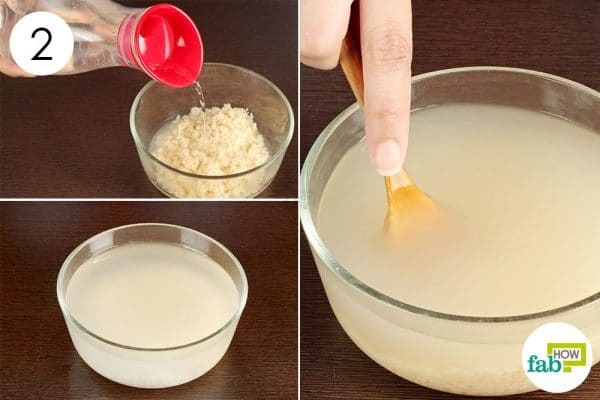 You can use ground rice flour to make a highly effective mask to lighten your skin. Rice water is one of the simplest and most affordable DIY beauty products that you can use for beautiful skin and hair. Rice contains good quantities of vitamins B, C and E. It also contains water-soluble minerals, such as inositol, which helps repair skin damage, and ferulic acid, which acts as a powerful antioxidant and contributes to keeping your skin and hair healthy. Fermented rice water is especially good for your hair. Its pH level is similar to that of your scalp, and as a result, using fermented rice water on your hair and scalp stimulates the secretion of a chemical called pitera, which in turn helps promote the growth and regeneration of cells. Here are two extremely simple methods for making rice water – the first involves cooking the rice, while the second is even easier since it’s made with uncooked rice. The next time you cook rice, don’t throw away the water. Instead, you can drain and store it for future use. Diluted solutions of this almost milky-white water can be used to effectively soothe irritated skin and tame frizzy hair. Rice is a truly versatile grain as you can also use it to make a warm compress to relieve back pain. Put 1 cup of organic white or jasmine rice in a large strainer. Rinse it with water to remove any impurities. 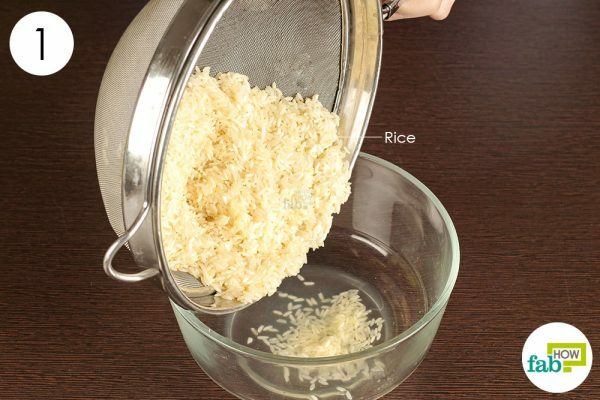 Transfer the rinsed rice into a pan. Pour about 3 cups of water into the pan as well. Turn on the heat and let the rice cook. You don’t have to cook the rice completely. Just bring it to a boil once on high heat. Strain the water into a container. Let the rice water cool down. 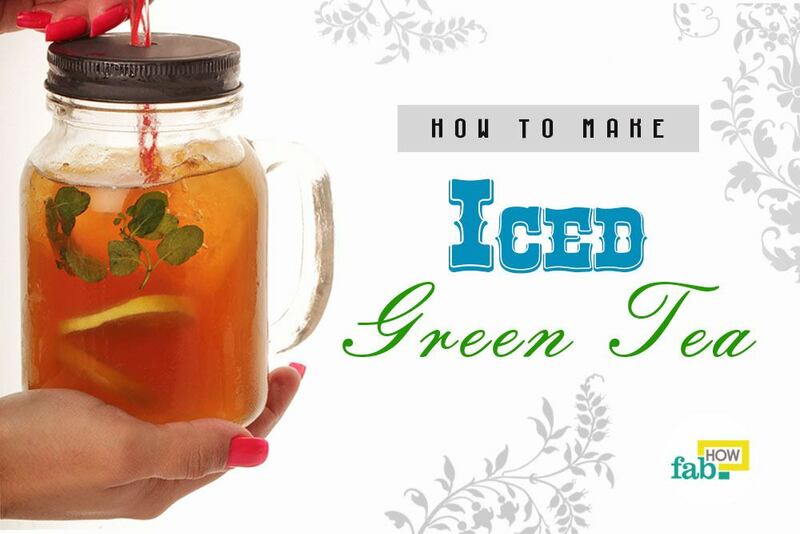 Pour it into an airtight jar. This concentrated rice water can be stored in your refrigerator for up to 1 week. 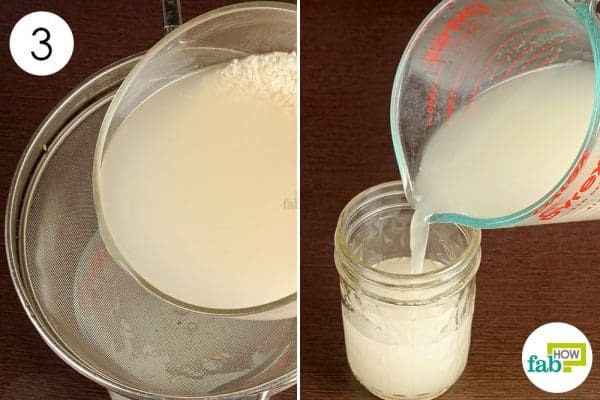 Dilute 1 to 2 tablespoons of the concentrated rice water with 1 cup of water and use the slightly milky solution for better skin and hair. 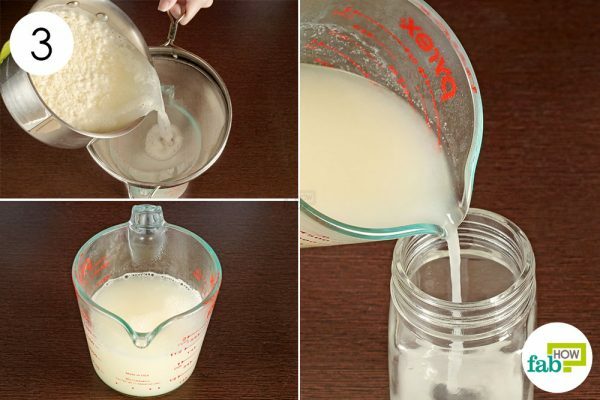 This is an even simpler method for making rice water. You don’t even have to cook the rice. Just soak uncooked rice in some water for the specified time. This allows the water to absorb all the nutrients and minerals from the rice, leaving you with a solution that can be used to obtain shiny hair and tighten skin pores. Put 1 cup of organic white or jasmine rice in a strainer. Rinse it thoroughly to get rid of any dirt or impurities. Transfer the rinsed rice into a large glass bowl. Pour 2 cups of fresh water into the bowl of rice. Let the rice soak for 15 to 30 minutes. Stir it until the water turns milky or cloudy. 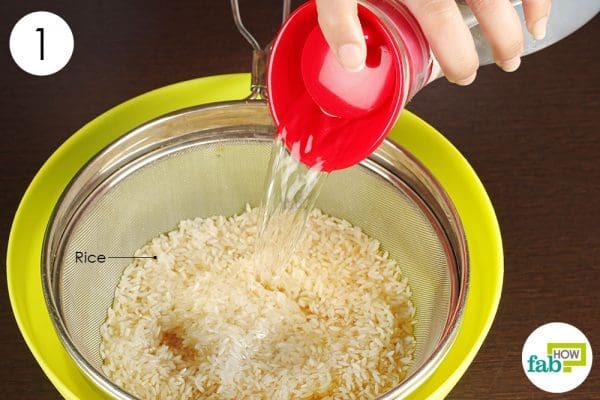 Stirring helps the nutrients and minerals from the rice get absorbed into the water. Strain the rice water into a bowl or a beaker. Transfer it to an airtight container. 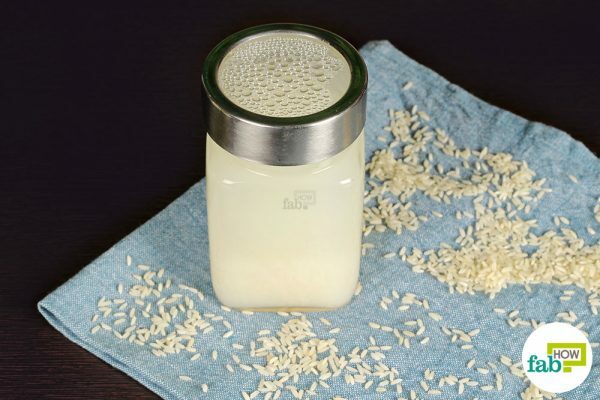 You can store this rice water in the refrigerator for 3 to 4 days. 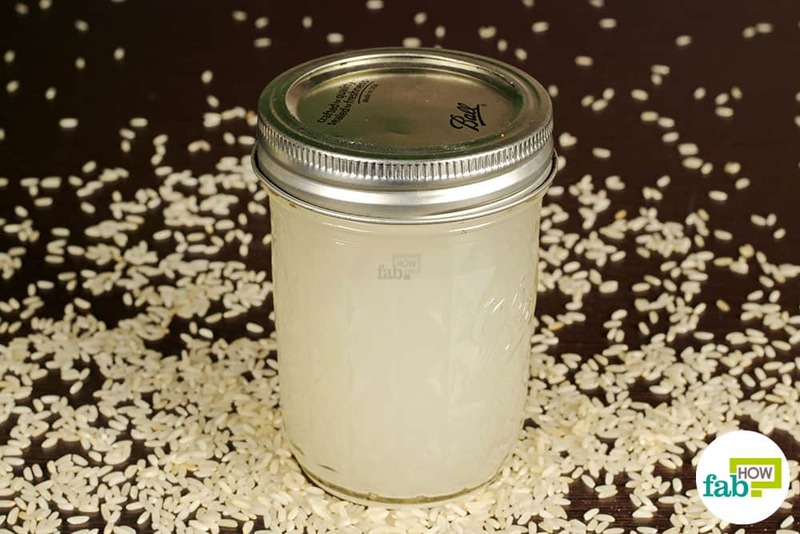 Use this rice water for your skin or hair or you can also let it ferment for greater benefits. 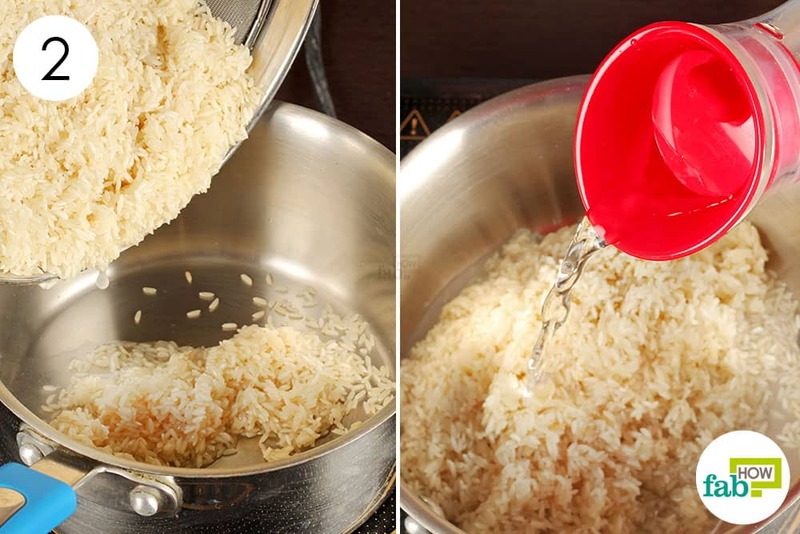 Always rinse the rice thoroughly before using it to make rice water, as any remaining impurities can taint the purity and effectiveness of your rice water. You can use rice water to control acne and reduce redness in case of outbreaks. Rice water has anti-inflammatory properties and can be used as an astringent. Always dilute rice water before applying it to your hair; otherwise it may clump together in your hair. Might be helpful for you. Highly appreciate going to put in practice?